Often I like to ask for opinions to help form what I think. But not this time. ;> Here's the deal. We need OpenOffice.org certification. In a big way. I'm at LinuxWorld. There are Linux certifications. Tests are going on as I blog. Training and study guides are offered. But nowhere is there any OpenOffice.org certification. This isn't the first time I've thought about OpenOffice.org certification, of course. In 2001 I called Sun and talked to them about StarOffice certification. The person I talked to claimed that certification wasn't profitable. I don't have actual figures on the Sun Java certification, but I KNOW that it's profitable. ;> And Microsoft does office suite certification. Microsoft does many things one might or might not want to emulate but you really can't accuse them of doing things that aren't profitable, one way or the other. So back to LinuxWorld and OpenOffice.org certification, 2007. 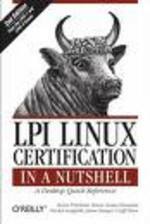 I talked to some folks from LPI, who are huge in Linux certification. I asked if there was any interest in OpenOffice.org or desktop certification, and they said they were definitely intersted. There are books all over the place, study guides, for Linux certification. Not to mention the millions (I assume) of people and dollars being made from Microsoft certifications. Java certification is huge; check out www.javaranch.com and the many many many other resources. I'm not sure how many technical products there are that you *can't* get certification for, in fact. People need to be able to be certified, at at least two levels, on OpenOffice.org. That means certification objectives, an exam with well written challenging questions, places where you can take the exam, and of course a mix of free and paid study guides and training resources for preparing for the exam. Probably a few other things that I'm leaving out. I forget where I read the quote, but the gist was "If you measure it and reward it, people will do it." There's a certain internal benefit to being *certified* in something rather than just knowing about it. Here are some additional reasons. Many organizations have a free-floating training budget, and people get to take training every year. Would you rather take training with a certification as the end result, or just training to know about stuff? As a manager, would you put something on the training list that results in certification, or just something to provide capabitilies? If there's an OpenOffice.org certification, then it's more visible, it gets on more lists, and more people take the training. Community and vocational colleges are typically focused on getting their students out the door with practical, immediately valuable skills. What are they going to teach: products with certification programs, or without? Microsoft does it. Many, many, many people have MOUS certification and others. It's just another office suite, not wildly technical, but people do get certified as users. Why not do the same with OpenOffice.org? Some of the people at LinuxWorld who I talked to get puzzled at the very idea of training for OpenOffice.org, much less certification. "But it's so easy." Yes, to people who can do kernel programming with their eyes closed. The average user can benefit from guidance, and of course having a certification at the end of the path is a motivator for learning the new program. It's 2007. Sun bought StarOffice in 1999. Eight years ago. I still have to explain to 9 out of 10 people what product it is that I train on. That's very bad visibility for an end-user desktop product. Certification isn't the only solution but I think it would help a lot. People generally need to at least know what a product is before they can consider switching to it. Certification. It's a good thing, and OpenOffice.org needs it.